On 21 February the International Linear Collider Steering Committee (ILCSC) handed over to the new linear collider structure. 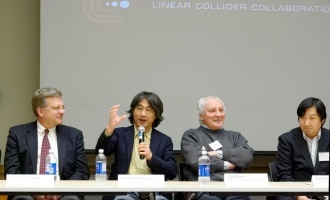 The Linear Colllider Board (LCB), chaired by Sachio Komamiya, replaces ILCSC, and the Linear Collider Collaboration (LCC) replaces GDE and the groups working on physics and detectors for both the ILC and CLIC. The LCC of course also includes the CLIC study. Linear Collider Director Lyn Evans looks ahead. The final deliverable of the Global Design Effort, the ILC Technical Design Report, was completed and submitted in draft form to the International Linear Collider Steering Committee in November 2012. Following a successful technical review of the design in December, an International Cost Review was conducted in February of the value estimate. The cost review validated the TDR value estimates, and pointed out other costing efforts that will be needed as the ILC becomes a site-specific construction project. According to Linear Collider Deputy Director Hitoshi Murayama, the Large Hadron Collider is a collider of cherry pies, with lots of cherries, pastry and cream flying off in all directions, while what scientists are really after is the collision of two cherry seeds, he said at the 21 February press conference for the start of the Linear Collider Collaboration. Watch the video of the press conference - in both English and Japanese - here. The Moriond conference, one of the most central physics conferences where latest results are presented to the community, is in full swing. Yesterday, Wednesday, was entirely dedicated to "The SM Scalar boson" - or, in other words, the new particle discovered at the LHC. Both the CMS and ATLAS experiments presented their latest results, and its seems that the new particle is compatible with a Higgs boson. The summer conferences will see even more updates - and maybe a confirmation? 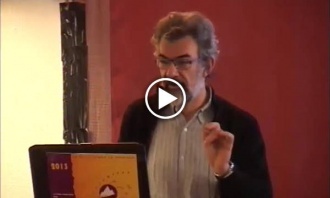 Find out more about yesterday's talks by watching the webcast, kindly made available by IN2P3. To increase its chances of hosting the ILC, the government should clearly explain the merits and demerits of the ILC project experiments to the public in an objective way so that meaningful discussions on the project can be held. At the Large Hadron Collider near Geneva, two armies of scientists struggled to close in on physics’ most elusive particle. The real problem will then be how we get government to build the next facility – these things have gotten so expensive I don’t know how that’s going to be possible. We really should begin that work now because it takes so long to get these things built that if we don’t start now we’re going to have a very long hiatus. A new international organization will guide the development of a $7.78 billion particle accelerator that could be heir to the Large Hadron Collider. VANCOUVER – Some of the world’s greatest minds have collided in Vancouver and agreed to build a new US$7.78-billion particle collider that will help answer some of the universe’s deepest secrets. When you start talking about quarks, anti-electrons and the Higgs boson, most people get lost very quickly. But there are real-world implications, as TRIUMF at UBC hosts a meeting of the leaders of the major high-energy physics laboratories around the globe, including a potential boost to the local economy if a major, multi-country project goes ahead. Meyer said physicists from all over the world working on the two projects met at TRIUMPH in Vancouver on Thursday and have agreed to form a team to develop a new particle accelerator.